Along with losing weight, 2014 to me is the year of remodeling and making our home more comfortable for us. While we have owned our house for five years, with our constant traveling due to work, we rarely spent much time in our house at all for nearly three years. This meant that all the little projects we hoped to do when we moved in are now on our to do list for this year. 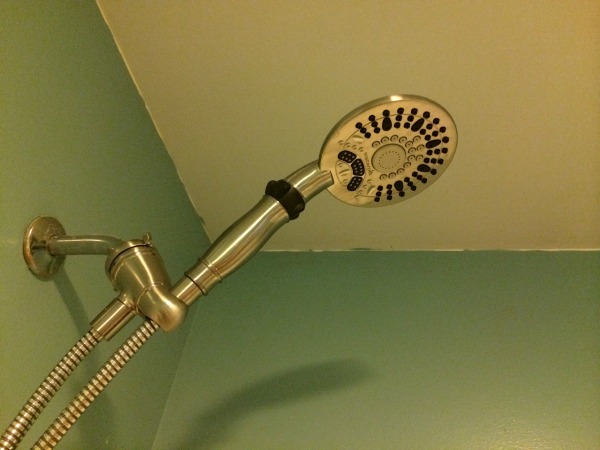 One of the things I disliked when we moved in were the cheap showerheads – we replaced the head in our master pretty quickly. To me, a shower should be comfortable and refreshing, make it worthwhile to spend a bit more money on a massaging showerhead. As I was looking for the perfect showerhead for our guest bathroom, I was approached by Waterpik, wanting to see if I was willing to review their Waterpik Easy Select Hand Held Shower Head. After reading a bit on their website, I was excited for this showerhead to arrive! When I first received my Waterpik Easy Select Hand Held Shower Head, I expected it was going to live in our guest bathroom. To make reviewing easier for me, my husband installed it in our master bathroom. After a few days of using this showerhead, we both agree that this showerhead is not leaving! Our old one, which we thought we loved, is going in our guest bathroom. While it is not as expensive as our old showerhead, it has a better variety of settings, including a hard massage, as well as a relaxing misting setting, great for cooling yourself down after a workout . Between its quick install, unique settings, and decorative look, I can't find anything I dislike about this showerhead. Based on my own opinion of the Waterpik Easy Select Hand Held Shower Head, I am very happy to give this showerhead an A+ rating and highly recommend you purchase one for your own bathroom. Once you have tried it, I think you will be addicted to it, just like us! 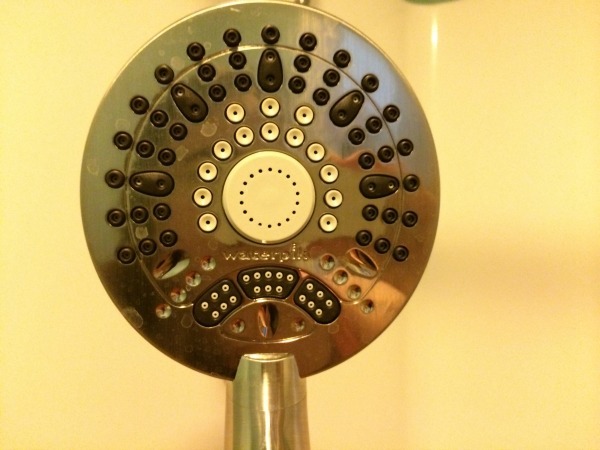 Would you love to purchase this awesome showerhead for your home bathroom? You can find the Waterpik Easy Select Hand Held Shower Head at most DIY stores, including Home Depot. Most stores are selling this easy to install showerhead between $55 – $68. Disclosure: Budget Earth did not receive compensation but did receive products for review purposes. All opinions on this product are my own and may differ from our readers' opinions.